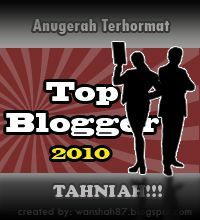 Hi Everyone, sorry for not visiting your blog lately. Too many things are happening at once and I hardly have time to blog. Anyway, this is a simple cauliflower recipe. My kids love both cauliflower and quail eggs. They snapped up all the quail eggs during dinner time rather quickly. 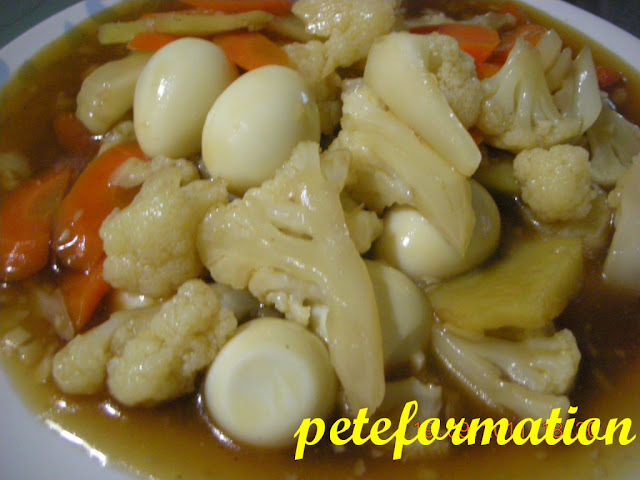 Somehow, I found that quail eggs go along well with cauliflower after experimenting with this recipe. However, you can also add in prawn and squid to enhance the flavour of this dish. Check it out, your kids are sure to love this! Heat up wok and put in around 1 tablespoon of vegetable oil. Saute shallots until fragrant and add in the ginger. Add carrots, shao shing chiew, pepper, light soya sauce, sesame oil, salt to taste and oyster sauce. Put in the couliflower and add a little corn flour & water mixture to thicken the gravy. Lastly, put in the hard boiled quail eggs. this is really "innovative", never have thought of matching cauliflower with quail eggs!! haha..
this looks delicious, and healthy! We missed you! Simple and tasty! Shao Shing Chiew sure added some oum to the dish! Wah!!! MIA so long kah? Oooo...I love quail eggs! looks yummy..must try that one day! Cauliflower is my favourite too,it has many benefits as well! Braised broccoli or cauliflower with carrot are always yummy. Most people like this dish. My children like this dish too. Any vege with some oyster sauce taste nice. Love quail eggs. oh...finally you are back again! You are right my kids really love cauliflower and quail eggs!I like this dish!yeah yeah...i have another new dish recipe...TQ! Used to eat quails' eggs with meesua (vermicelli). sound slike another good dish for me to dish up for hubs. you are my home cook insipiration, pete haha! how are you? never seen quail eggs in a veggie dish? only eat them in leng chee kang. I haven't had quail eggs in ages!!! Thanks for reminding me how much I love them.